What Do I Need to Go Camping? 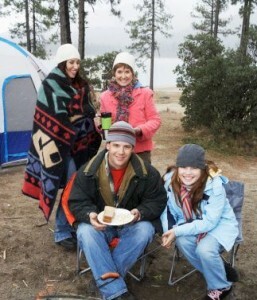 Better Thinking › Home › What Do I Need to Go Camping? Camping is a great summer holiday, especially with young children, as it gives you a chance to get away from it all and spend time together and enjoy the outdoors. It is also a lot more affordable than many other kinds of holidays and, providing the weather behaves itself, it can turn out to be one of those great family trips that live long in the memory. Despite the low cost of using a campsite, if it is your first time camping you are likely to have to spend quite a bit of money on the initial outlay. For a successful camping trip you will need to be well prepared – there’s a lot more to camping than just turning up with a tent – but the good news is that once you have bought most the camping equipment, you will be able to use it for many years to come. 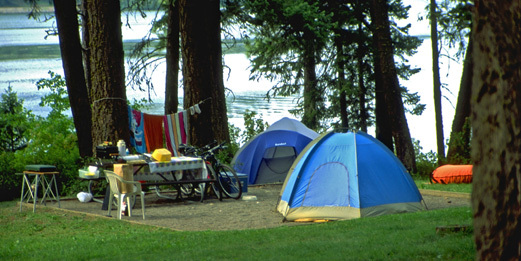 Here is a guide to the kinds of things you will need to take with you when go camping. 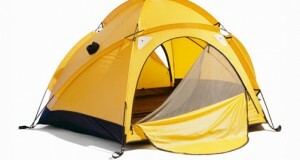 Obviously, you will need a tent, and it’s a good idea to take a mallet and even extra tent pegs with you. If the ground is hard, you are very likely to bend a few pegs, so it pays to have some spares to hand. Bedding is also very important to get right. Sleeping bags and airbeds are probably your best bet, and make sure you don’t forget pillows as well. A first aid kit is also essential – make sure yours has everything you are likely to need. Also, don’t forget sun cream and insect repellant, as well as a soothing cream in case you do get bitten. At night, you will also be glad of a good torch and a lamp. If you are going to be preparing your own food, it’s a good idea to take a stove, not forgetting enough gas canisters for the duration of your trip, and maybe even a barbecue. These will be useless however, without matches, so don’t forget to take plenty of boxes. A cool box with ice packs is also a good idea, and many campsites have freezer space where you can re-cool the ice packs. You will need plenty of cutlery, plates and bowls, as well as pots and pans for cooking. Also, you will need to take washing up liquid and a bowl. When it comes to the actual food you take with you, think carefully about how it will need to be prepared and whether it is realistic for a camping trip. 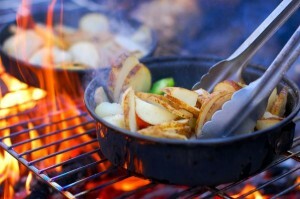 When you are outdoors the simplest food is very often the best! In order to enjoy your meal properly, you’ll need something to sit on, so take some small fold-out chairs, and a picnic table if you think you will need one. Many sites have camping showers and toilet facilities, but make sure you don’t forget those most essential of toiletries. It’s important to have a good idea of the kind of weather you can expect and choose which clothes to take accordingly. Be realistic, it is bound to rain at some point, so make sure you have waterproofs and perhaps even wellies. It also pays to have a repair kit, either for clothes or more importantly the tent – pack a kit with needles, thread, safety pins and buttons. Depending on where you are going camping, and for how long, there may be some other essential items we have not mentioned here. All in all, if you are well prepared and have thought carefully about what you will need to take with you, there is no reason why your camping trip will not be every bit as much fun as you want it to be.